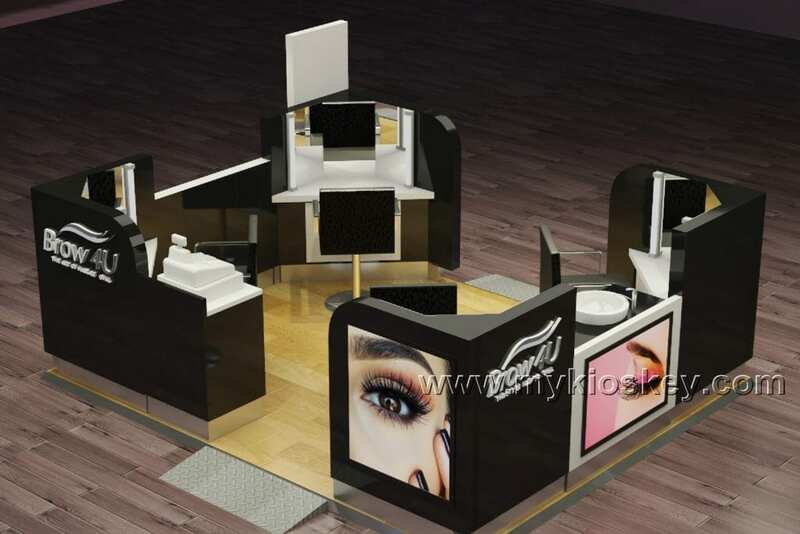 eyebrow threading is one of very popular beauty service , it mainly location in shopping mall or salon store , They are very popular with ladies , if you also interested plan start your own salon store , want make a eyebrow threading kiosk like this . Please take a few minutes to follow me for more details . Today I would like to introduce a very high-end American eyebrow cabinet that is popular in the United States. It was customized and exported to Salt Lake City this year , If you happen to be nearby and are also interested, also can go there have a look . I guess you’ll enjoy it . 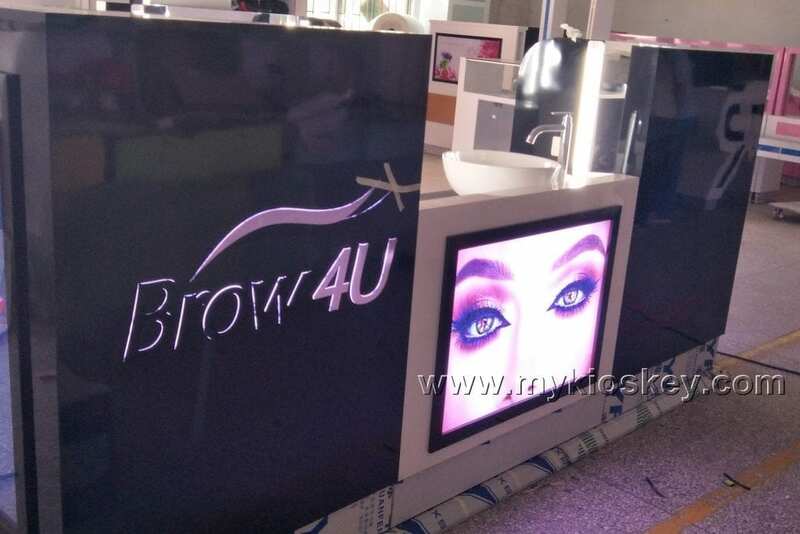 1.Basic information about this eyebrow threading kiosk . You can see whole kiosk mainly tone is black , match a little white , beige wooden grain floor .whole kiosk basic material is MDF , surface is glossy baking painting finished , wooden cabinet for storage, inside have four seating area with mirror and light . a small cashier counter and a small Ceramic sink . 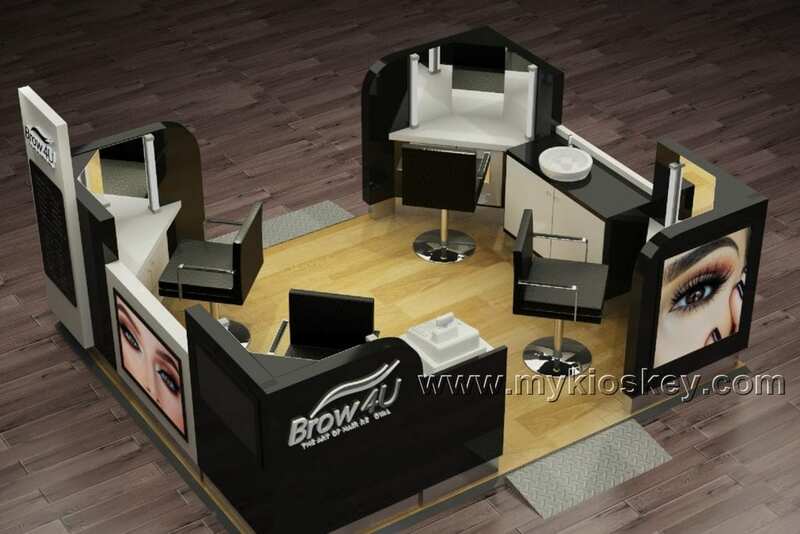 Item : eyebrow threafing kiosk . Size : 10X12ft or customized . Color : white and black . 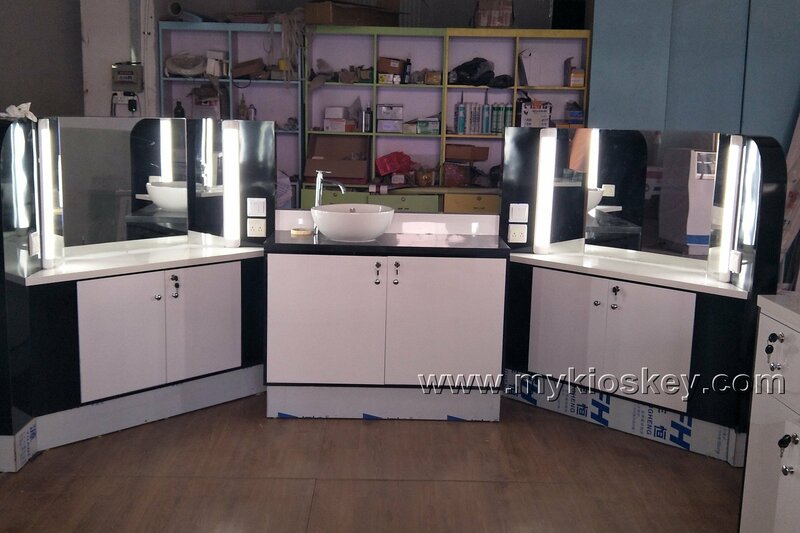 Material : MDF , mirror , glass . 3. 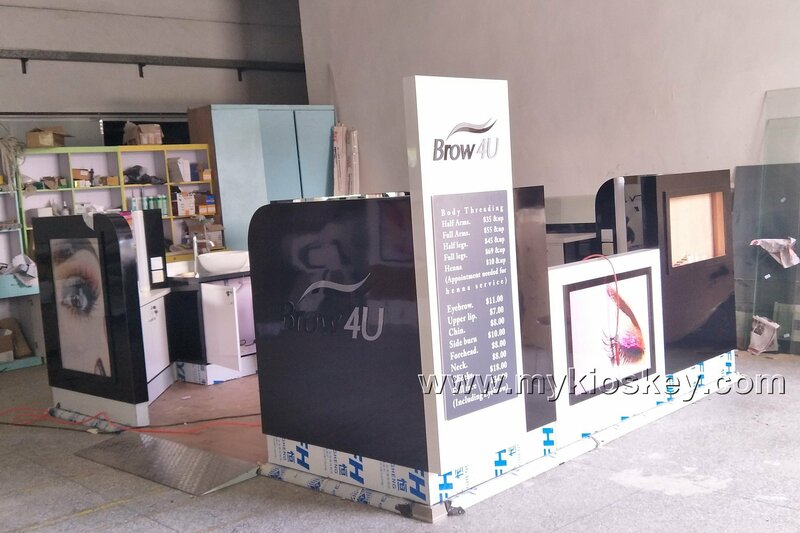 How to order a eyebrow threading kiosk ? 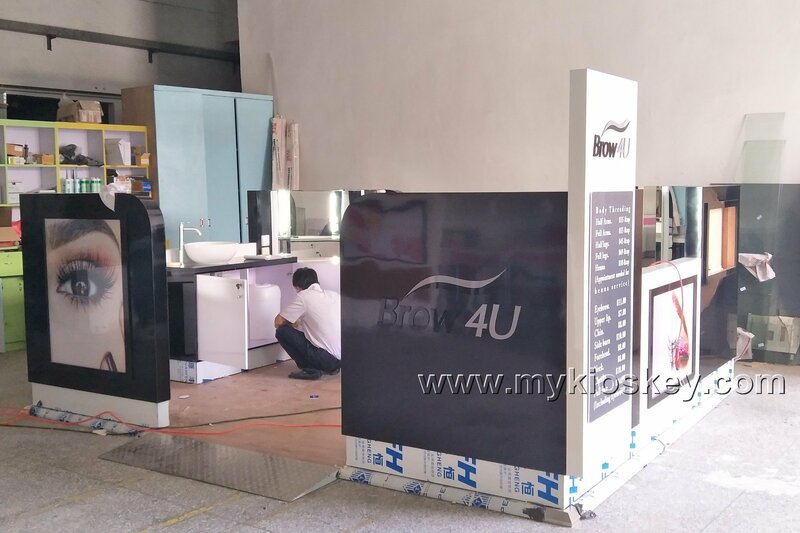 4.How to install this eyebrow threading kiosk ? Did you like this the white shop style and color collocation ? if you interested build your eyebrow threading kiosk or other mall business , pls not hesitate contact us now , we have our professional design team can help you make a unique design . of course if you have ideas and have own design , we also glad to give you some suggest and help you production it . Look forward to further cooperation .